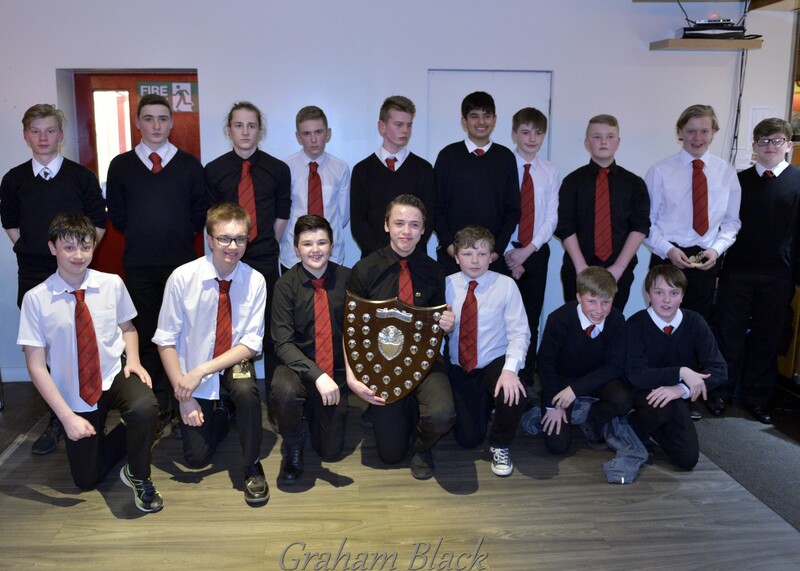 A great evening to end a successful season at youth level was held on Wednesday 29th March. With over 130 people in attendance, the evening included accounts of a successful season with Linlithgow Academy winning their conference, with 3 of the 5 age group sides remaining unbeaten. Awards were given to worthy winners from each age group and for the first time an award was given to the coaches player of the year for the fledgling girls squad. 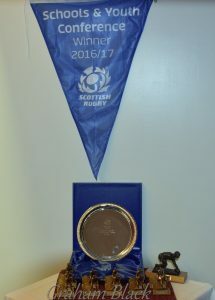 A great way to end a good season and on behalf of the youth section a big vote of thanks for all those that have helped throughout the season in whatever capacity – on behalf of all the youth players.